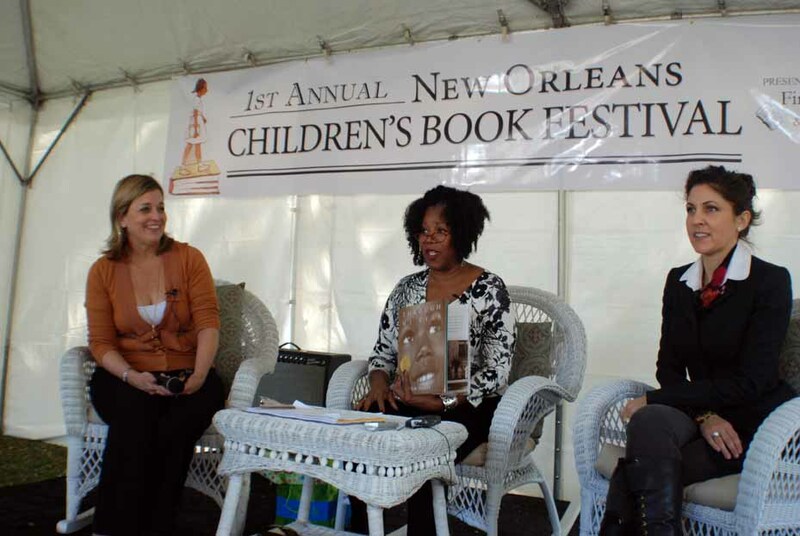 First Lady Cheryl Landrieu, left, Ruby Bridges and Rita Benson LeBlanc are among “village elders” who brought about the 1st New Orleans Children’s Book Festival. 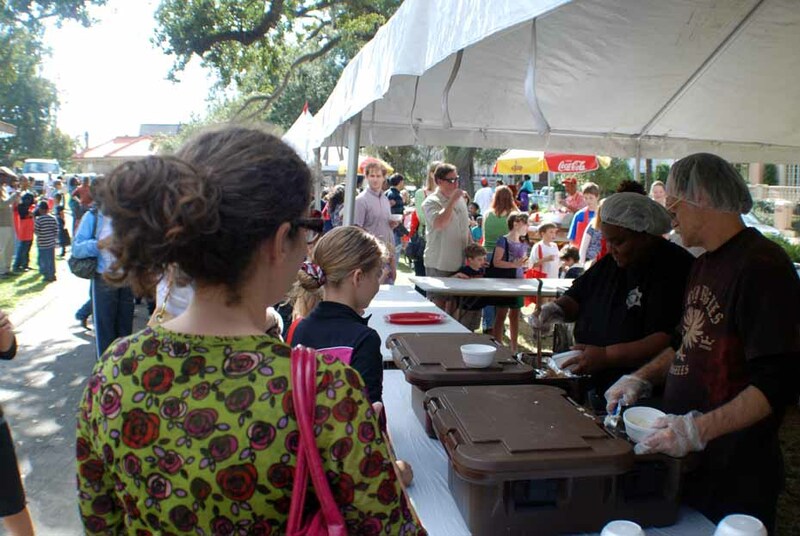 DAY IN THE WEEK — Why six stories about the 1st New Orleans Children’s Book Festival? The most compelling answer is evident; it is Providence intervening. Plain truth, this is where we first saw “Day in the Week,” where children were brought uniformly to village elders on a certain day, in a certain month, in a certain place, at a certain time, for the rite of passage that introduces them to the value of literacy, education as it were. Today’s fete — the 1st New Orleans Children’s Book Festival — is conjoined with the 50th anniversary of Ruby Bridges, age 6, integrating public schools in the South. That happened here in New Orleans in 1960, six years after Brown v. Topeka Board of Education. Bridges is a co-presenter, along with First Lady Cheryl Landrieu, of this exemplary event — a precursor of “Day in the Week.” A reader on stage under the New Orleans Saints’ tent, Rita Benson LeBlanc, team owner and executive vice president, is reflective of the various community organizations which joined to plan and put on the book festival. Now established, the book festival is eternal. With beginning, it now goes on endlessly. Even as we speak, the book festival continues in all its astonishing glory, doing so in the moment under the aura that this is the following season — at long last — when the Saints are defending Super Bowl champions. For certain, being here and meeting those appointed to receive us, is the guidance of Providence. Indeed, there is no end to the 1st New Orleans Children’s Book Festival, as there is no end to the Saints’ 31-17 defeat of the Indianapolis Colts in Super Bowl XLIV. How then can the here and now be viewed as any time other than prescience? All the evidence adds up and makes plain what is meant to be. We were sent here to witness for the nation care of the children — our children. Never can the case be made that this moment is one of random selection, nor is it an exercise in freewill. As much as New Orleans has to offer, day in and day out, year in and year out, it was the 1st New Orleans Children’s Book Festival that brought us here to the Uptown section of a city so culturally rich in music, food, people and legend. Mere mention of Louis Armstrong and Mahalia Jackson begins revelry as to the mother lode that sourced so many with deposits of musical gifts here in New Orleans. K-Paul’s Louisiana Kitchen, on Chartres Street in the French Quarter, offers the epitome of Chronicles of the Welcome Table dining, if that had been our reason for being sent here. Relative to thoughts of inclusion, you know, each inhabit of this city has his or her own story. Such is the case — ingrained in our mission — for all of America, The Diversity Place. Add in dimensions of multicultural voices, factoring in the possibility of story ideas, then, the number is considerable as to what could have caught our attention to document and photograph. We were sent out with instructions that education held primacy in the stories that we wanted to document and that a call to action would result from being “On the Road” for 18 months, writing hundreds of stories, taking more than 150,000 photographs, logging more than 44,000 miles throughout these 48 states of the continental U.S. Therefore, while documenting, we were also surveying and building, as in the partnership superstructure that would allow us to bring “Day in the Week” to fruition. Inclusion is the higher tenet of America, The Diversity Place and the mortar that holds the edifice in place. Perhaps, maybe even without a doubt, the answer to improving educational attainment in the United States is to start something new or to begin things anew. The 1st New Orleans Children’s Book Festival is indicative of starting something new. Something new defines starting point with certain quantifiable objectives as an end result. Here parallels are obvious. Sustainable childhood memories, for Dali, will most certainly recall the time when the First Lady of New Orleans read to her on a curb at the Latter Memorial Library Branch and how the First Lady, along with Ruby Bridges, a child prodigy of the American Civil Rights Movement, cared enough to plan a rite of passage dedicated to books and advancing literacy in children. Sustainable memories were also endowed on February 7, 2010, when the Saints defeated the Colts to win the team’s first-ever appearance in the Super Bowl. The elders who called together children of the village for the 1st New Orleans Children’s Book Festival were being exemplars for the rest of the nation. Among these responsible elders — not meaning to leave anyone out — are television news anchor Nancy Parker and political consultant James Carville. Pastor Brenda Charles, Asbury United Methodist Church in Algiers, came with daughters and grandchildren, two in the comfort of a stroller. Many civic groups sent volunteer workers. Among volunteers in the makeshift food court was a group from the Orleans Parish Sheriff’s Office. They dished up servings of red beans and rice with andouille sausage in Styrofoam bowls. Norris, a wienie vendor for Lucky Dogs, served long lines throughout the four-hour event. What is axiomatic and certainly makes plain is that there is the need for a national “Day in the Week” emblematic of what has taken place here today. Village elders are empowered to speak prophecy into lives of its children. If you are reluctant to say prophecy, then say direction or guidance. Any words portending hope and inspiration will do. Ruby Bridges spoke, “It’s we as adults that teach it and pass it on. That’s absolutely true guys. It’s a message that I carry across the country. It’s really, really important for me that you understand that none of our babies come into the world knowing anything about disliking one another. It’s something that we teach and pass it on and that’s across the board. Meaning of the proverb, “It takes a village to raise a child,” resonate in practice and flourish with elements of pondering. How, the, can we come up with a master plan for advancing educational attainment in the United States? For America, The Diversity Place, the beginning of the answer is “Day in the Week” fashioned simultaneously so that elders of the village convey the same message of the value of education to all our children. Volunteers from the Orleans Parish Sheriff’s Office worked in the makeshift food court, serving up red beans in rice with andouille sausage in Styrofoam bowls.